Known for her incredible and entertaining live show, international pop icon P!NK announces her Beautiful Trauma World Tour 2018 today. The 40-date North American arena tour produced by Live Nation will start in Phoenix, AZ on March 1st and culminate in Los Angeles, CA at The Forum on June 2nd. 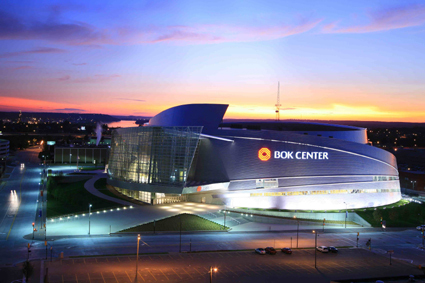 The tour will stop at BOK Center on Monday, March 5, 2018. The concert is the second show announced for the BOK Center’s “10 for 10” concert series in 2018, a celebration to feature ten blockbuster artists commemorating the arena’s 10th anniversary. Tickets go on sale Friday, October 13 at 10 am and will be available online by clicking here, at Arby’s Box Office at BOK Center, or by calling 1-866-7-BOKCTR. American Express® Card Members can purchase tickets before the general public beginning Tuesday, October 10 at 10AM local time through Thursday, October 12 at 10PM local time. U.S. and Canadian residents who purchase tickets online between October 10 and October 20 will be able to redeem (1) physical copy of P!NK’s new album “Beautiful Trauma,” out Friday, Oct. 13, 2017. All albums must be redeemed by October 20, 2017 at 11:59PM PST. To ensure fans gain access to tickets, Fan Registration for the U.S. and Canadian tour dates will be available here through Ticketmaster’s Verified Fan program. P!NK last hit the road on her The Truth About Love Tour which saw her play 142 sold out shows across 13 countries. 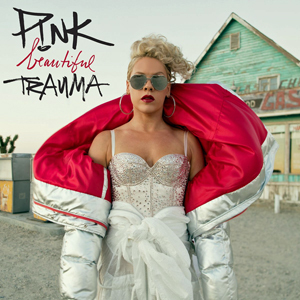 In addition, P!NK releases another track, “Whatever You Want” from her highly anticipated seventh studio album Beautiful Trauma which is available for pre-order now and due out in stores on October 13th via RCA Records. The track was produced and written by Max Martin and Shellback who credit P!NK in part. P!NK has also released two other tracks from the album, first single, “What About Us” and “Beautiful Trauma” to rave reviews. This entry was posted in Out & About on October 5, 2017 by admin.